Why Choose Denta-Gard Mouthguards Over the Rest? Why wear a mouth guard that protects only half your teeth? 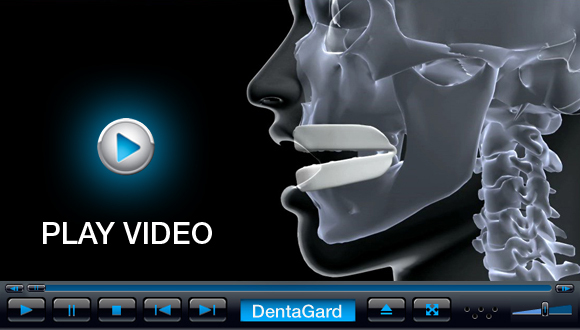 The Denta-Gard mouthguard is designed not only to protect both upper and lower teeth, but also involved soft tissue. Its natural spring hinge allows the wearer the freedom of open mouth breathing and understandable speech. Athletes are inclined to wear Denta-Gard more consistently because they prefer a mouth guard that is soft, pliable and comfortable. 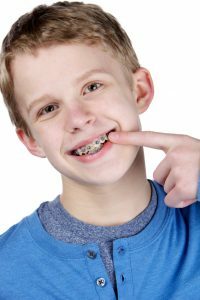 Orthodontists appreciate the Denta-Gard's excellent protection level. They also like the fact that it does not affect teeth position during treatment. Active orthodontic patients have found that the Denta-Gard fits comfortably over virtually all appliances. Denta-Gard complies with The National Federation of High School (NFHS) and The National Collegiate Athletic Association (NCAA) mouth guard guidelines. Denta-Gard requires no boiling, forming, or impressions to fit a wearer. One size fits a small child to a large adult. Simply take Denta-Gard out of its protective case and place it in the mouth. A case is provided with each Denta-Gard mouthguard to help keep it clean when not in use. Some coaches keep extra Denta-Gards on hand at game time in case an athlete drops it on the ground. Replace the dirty mouthguard with an extra Denta-Gard on hand. With no fitting necessary, the extra Denta-Gard is a smart way to reduce the introduction of germs into the oral cavity. Many coaches and trainers have described a common practice of athletes chewing away the ends of their standard hard plastic mouth guard. This bad habit yields the mouth guard ineffective, but when inserted it is difficult for a coach to see that the protection needed is sadly missing, including any impact softening benefit. By contrast, Denta-Gard does not lend itself to wearer destruction. Because it is tough and durable athletes do not chew it away. Because Denta-Gard is soft and comfortable there is no tendency for wearers to take it out of their mouths to chew it. Denta-Gard by its design and carefully selected materials encourages wear, which not only offers the wearer more consistent protection, but also better, more complete protection from injury.